Accept or reject incoming calls with just a swipe,The Samsung Galaxy S8 S-View Flip Cover enables you to see and interact with your phone screen through the front of the case. Instant, full screen access to critical information when the cover is closed. 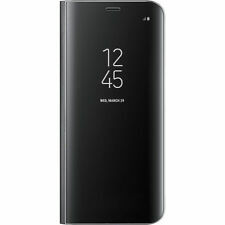 Available in Galaxy S10, S10+, S10e, USA FAST DELIVERY. The Samsung Galaxy S9 S-View Flip Cover enables you to see and interact with your phone screen through the front of the case. Respond to incoming phone calls, alarms and events even while the cover is closed. SAMSUNG Black S-View Flip Cover for Samsung Galaxy S8 OEM. For S8 only. I don’t see any flaws or issues. It has been described as honestly as possible. Excellent shape. 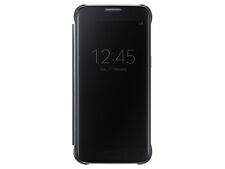 5 out of 5 stars - SAMSUNG Black S-View Flip Cover for Samsung Galaxy S8 OEM. 17 product ratings17 product ratings - SAMSUNG Black S-View Flip Cover for Samsung Galaxy S8 OEM. For your consideration is this new, universal flip phone carrying case. Leather, multi position belt clip, magnetic closer. Fits all flip phones 3 3/4" X 2" X 5/8" and smaller. 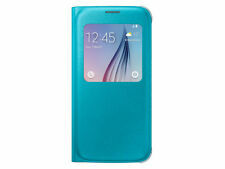 SAMSUNG S-View Flip Cover for Samsung Galaxy S8. Purple/ Clear OEM.